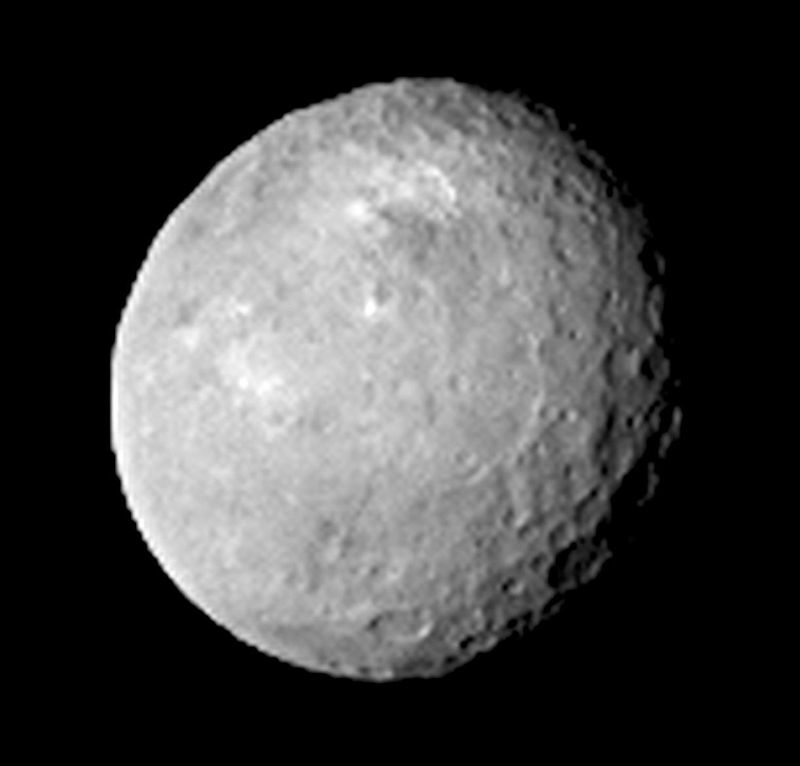 NASA’s Dawn spacecraft took this picture of Ceres, a dwarf planet in our solar system, using its framing cameras. These two instruments were designed as Dawn’s “eyes” and to help measure the size and shape of Vesta and Ceres, as the spacecraft explored our asteroid belt where the dwarf planet Ceres resides (between the orbits of Mars and Jupiter). This picture was taken from a distance of 83,000 kilometers.